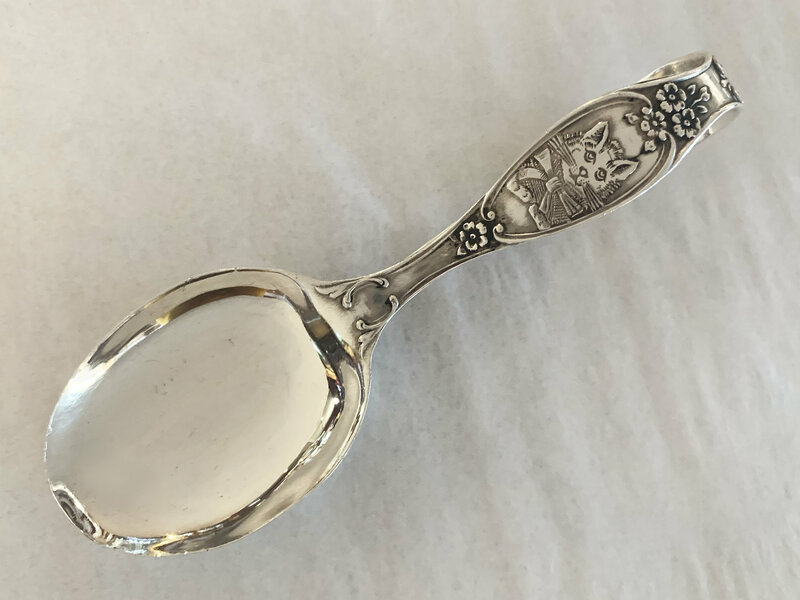 Give the gift that becomes an heirloom with this darling antique piece. 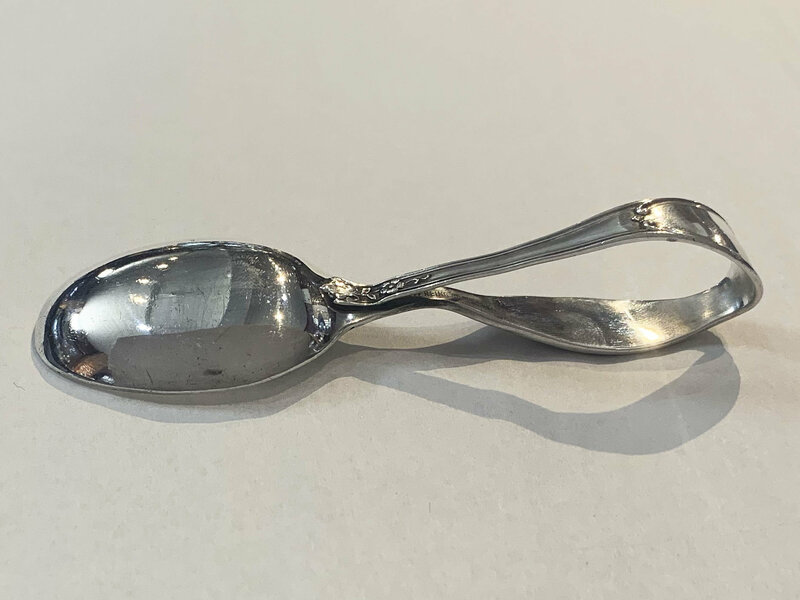 Crafted by R. Blackinton in the late 1800's, this rare sterling silver baby spoon depicting a cat wearing a bow makes the perfect gift for any baby shower, christening, gender reveal or birthday party. R. Blackinton was founded by Walter Ballou and Roswell Blackinton at North Attleboro, MA in 1862 and operated as R. Blackinton & Co. until 1967 when the company was acquired by Wells, Inc. 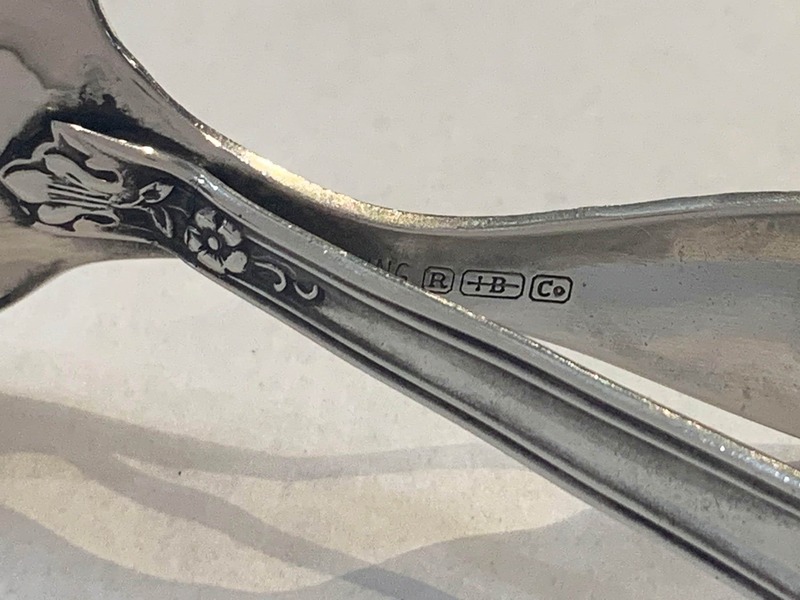 The original trademark featuring at B pierced by a sword was used until 1900. 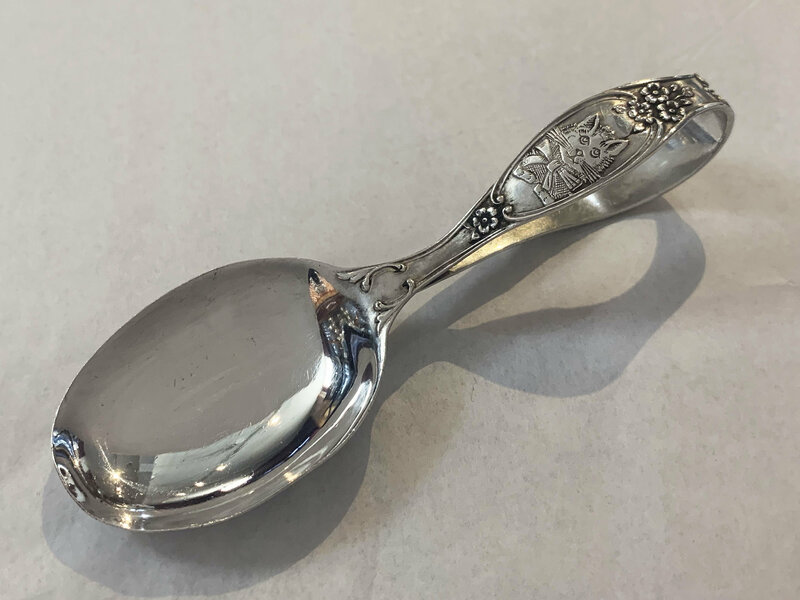 Known for their fine sterling silver and 14 karat gold holloware, novelties, flatware and dresserware, R. Blackinton is revered today for their unique designs and classic craftsmanship.